Inch by Inch, Row by Row, Gonna Watch the Garden Grow! Green with envy was I yesterday as I visited my friend's garden. 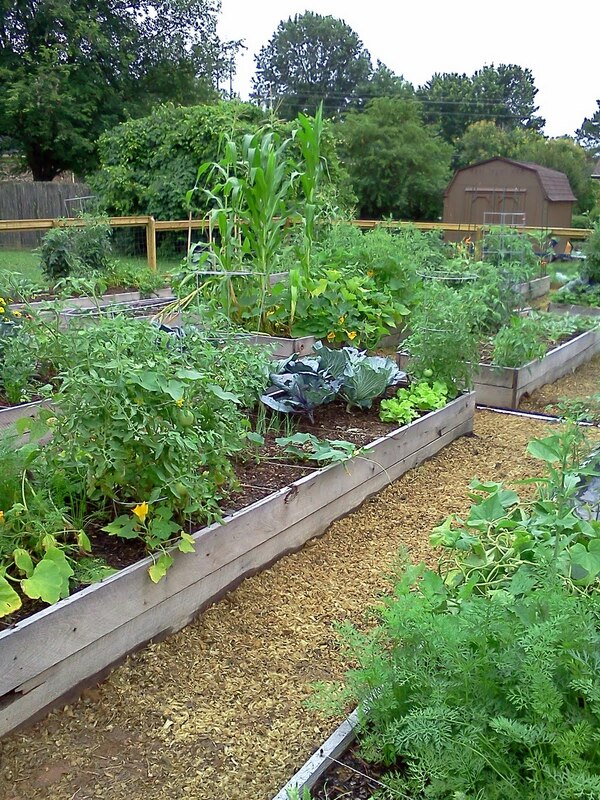 Joann has been using Bokashi in her composting and her church has created a community garden. O.K. I know that I have a lot less experience and our children and parents do also --- but that is what a garden is really about growing and learning as we do so. When Tennessee Volunteer Gardener contacted us to be part of a program on school and community gardens, I hesitated. We do not have a lot of outside support, so our garden is not as beautiful as the one pictured here. What we have is an honest in process garden where we are all learning to become more independent in our production of the food we consume. We are learning and it shows in things that have not worked so well. When I think about where we were just two years ago, I can see how far we have come, But when I look at Joann's garden I think of how far we have to grow! This week we are adding a few more perennials to the butterfly garden, some companion plantings to keep bugs out of the tomatoes, harvesting broccoli, cucumbers, weeding and mulching the strawberry bed's, staking up the pole beans, and spreading mulch on the butterfly garden! Come join us!! call Karen at 361-0446 or leave a message at 353-2066.